We will show you the IFEX®-firefighting equipment that is optimally matched to your needs. On account of varied usability of the systems, IFEX® is the perfect solution. The IFEX® Backpack is the most mobile variation of the supply units for the IFEX® Impulse firefighting gun. For the high discharge velocity, 25 bar air pressure is provided in the pressure chamber. The IFEX® Impulse firefighting process has radically changed the world of firefighting in only a few years. The function principle is quickly explained. 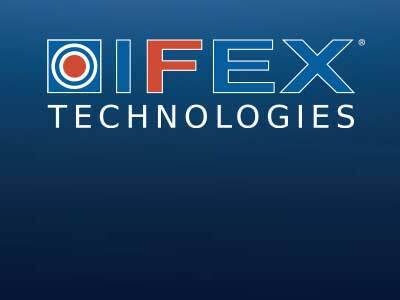 With pleasure we inform you about our IFEX products and the latest innovations. 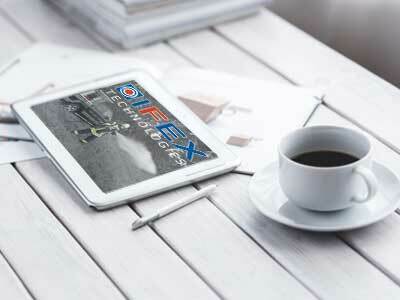 Some IFEX 3000 manuals are available for download as PDF files. The IFEX-app is available soon. The Impulse firefighting gun was developed as an extremely versatile tool for fire brigades and rescue teams all over the world. With the IFEX® Upgrade units you make your working vehicle or emergency vehicle within minutes into a self-sufficient, highly effective Impulse fire engine. 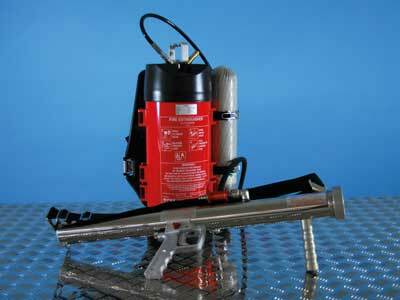 Impulse firefighting gun is used in combination with a backpack or trolley. They form the perfect team for the quick first attack and a successful firefighting application.